My Dad was an avid photographer. One of the cameras he had was a super cool Polaroid SX-70. I inherited it from him after he passed. 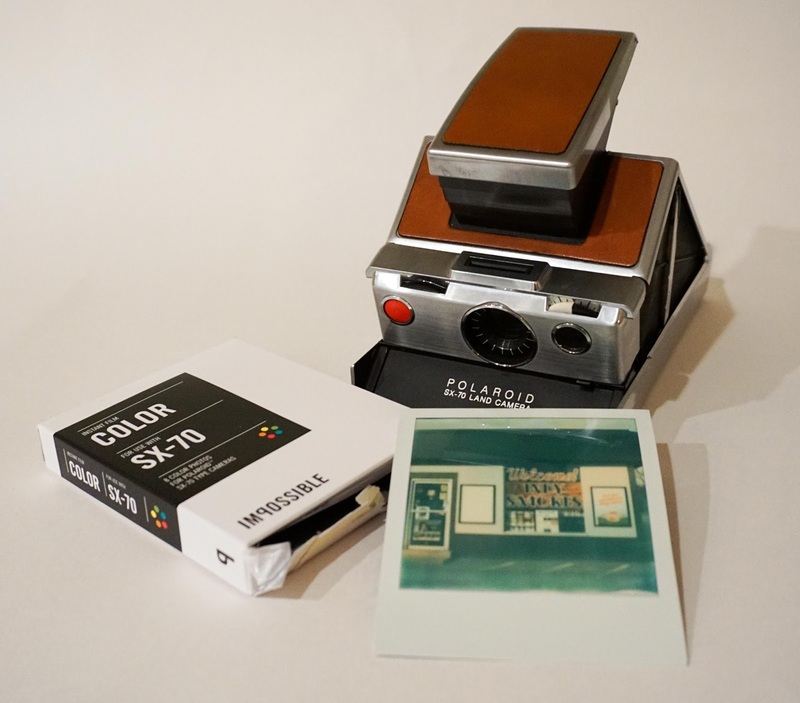 As you might know I shoot instant photography as part of my film repertoire. I've been waiting to use this camera for some time and just recently bought a few packs of SX-70 color film from the Impossible Project. I went out today with a number of film cameras to shoot around downtown Indianapolis. One of the cameras was the SX-70. I honestly don't know when was the last time my Dad used this camera, but it appeared to be in great shape. Unfortunately, after the first shot something must have come loose inside. The camera wouldn't close properly and when I opened it up the viewfinder was dark. The line of sight through the lens appeared to be blocked. I haven't looked at a schematic of the camera, but it's like a mirror inside got stuck. That kind of stinks because I wanted to use this camera for behind the scenes photos during my next model shoot. Oh well, I'll keep it on my Polaroid display shelf since it was my Dad's. I did get take the film pack out in a dark room and replace the black cover and reload the film in a different SX-70 camera. Can't afford to let the film go to waste. Top rated out of Seattle. I live here in Indy as well.